The battle of the video apps has just begun: Facebook says its Instagram app will offer a video function - just like Twitter's Vine. As apps go, Vine has been 2013’s success story: the app, which allows users to record and post six-second looped videos, was acquired by Twitter in October last year, before it even launched. In January, Twitter launched its new acquisition – and it became the most popular free offering on the App Store by April. Now Twitter’s bitter rival, Facebook, has hit back by adding a feature to its own Instagram app that allows users to shoot videos of between three and 15 seconds. They’ll then be able to add one of Instagram’s filters to the footage. Yep – now all your videos can look like they were shot in 1970s LA, too. On top of the video length and the filter feature, there are other minor differences between the two offerings – Instagram’s films won’t loop, and its users will be able to choose their own thumbnail images, the image that displays before you press ‘play’ on the video. To Vine purists, the idea of filters will be appalling – but Instagram, which Facebook acquired for more than $700m (£450m) last year, has beaten rivals before. It was first launched as a competitor to the then-popular Hipstamatic, which made users apply the filter before they took their photo, in 2010, but quickly overtook its rival in the app charts. 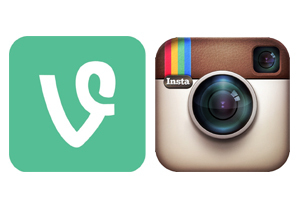 Vine’s developers will have to pull something out of the hat pretty quickly to prevent that from happening again.